Production from Sharara, Libya’s biggest oil field, has stopped again, unnamed sources told Bloomberg. The sources said the pipeline that carries crude from Sharara to the Zawiya export terminal stopped operating on Sunday, without giving any further details. The field produces 200,000 barrels of crude daily, contributing a large part of the country’s overall output, which stood at 700,000 bpd before last week. The first suspension of production at Sharara, as well as at a neighboring field, Wafa, occurred two weeks ago, when unnamed armed factions blocked the pipeline carrying oil to the coast, cutting the country’s total output by 252,000 bpd. Last week, however, the National Oil Corporation said that after intervention from its chairman Mustafa Sanalla, the militia men agreed to release the pipeline, so the oil flow could be resumed. The Sharara field was just restarted in December 2016, and NOC said that it planned to increase output from it to the 330,000 bpd it pumped before the civil war, aiming for a national total of 900,000 bpd in the next few months and 1.1 million bpd at the end of 2017. Last month, clashes between the Libyan National Army, which controls the four biggest oil export terminals in the Oil Crescent in eastern Libya, and the Benghazi Defense Brigades caused the shutdown of two terminals, Ras Lanuf and Es Sider. The situation was resolved relatively quickly, with the LNA regaining control of the ports. 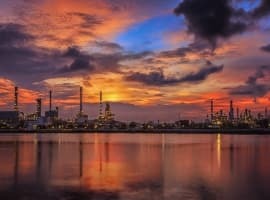 However, the situation remains fragile as evidenced by the emergence of a new group in eastern Libya that has threatened to block the flow of oil from the two biggest fields in that part of the country, which together yield 170,000 bpd of crude – over 25 percent of Libya’s total daily output. All these events have given oil prices a wild ride on the seesaw, and this latest production stoppage is bound to have the same effect on benchmarks.